Pixar announces two more features on the way, plus a short film! Pixar Ani­ma­tion Stu­dios has announced, dur­ing Disney’s annual show­case D23, two more yet-to-be-named fea­ture films on the way, to be released by Dis­ney in the early months of 2013. The first one sounds like a fun premise that Pixar can exe­cute well. Accord­ing to the ani­ma­tion studio’s Twit­ter account, the film reimag­ines the his­tory of the aster­oid that wiped out the dinosaurs. How­ever, in the film, the aster­oid misses Earth and the dinosaurs keep on liv­ing. The sec­ond movie’s descrip­tion is a bit vague and obscure, espe­cially for a Pixar film. The film will “explore a world that every­one knows, but no one has seen, inside the human mind.” Won­der if there will be cud­dly stuffed ani­mals mod­eled after the movie’s characters…inside the brain? Both films will be released some­time in 2013. Mean­while, Pixar is already work­ing on a fea­ture enti­tled “Brave”. 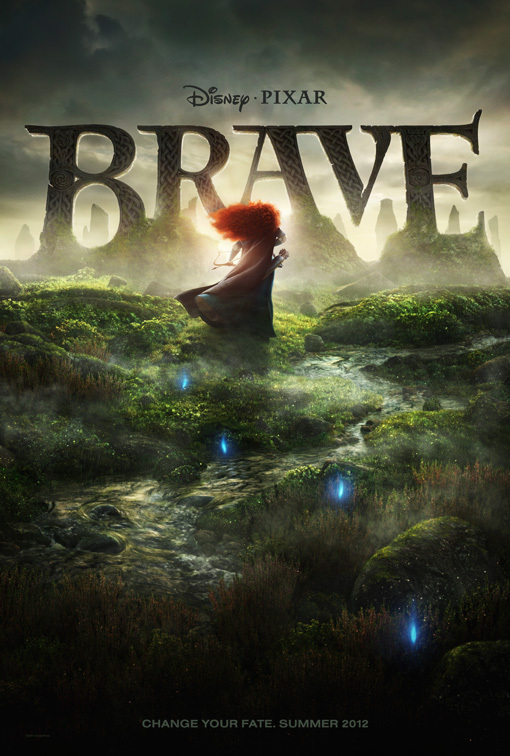 The darker fantasy-adventure film, to be released on June 22nd, 2012, is Pixar’s first fairy tale and con­cerns the adven­tures of a young and coura­geous daugh­ter of a king, Merida, in the ancient Scot­tish High­lands. The first trailer is already released, and the film is gen­er­at­ing buzz already, for the ani­ma­tion qual­ity and for being the first Pixar film that will star a (extremely red­headed) female protagonist. Also to come out is a short film fea­tur­ing Buzz and the gang from Toy Story. Since Pixar’s first Toy Story Short worked so well (the one fea­tur­ing Ken and Bar­bie, ‘Hawai­ian Vaca­tion’, which was attached to Cars 2), Pixar is con­tin­u­ing the series. Accord­ing to Huff­in­g­ton Post, the short film will be attached to the Mup­pets movie (com­ing out Novem­ber 23rd).